Interactive wayfinding maps allow visitors to find what they are looking for, while you show them what you want them to see. CMA’s Digital Wayfinding technology provides detailed directions and relevant content on the industry’s first vector-based maps, so visitors get to their desired location while you deliver useful information along the way. Works on any HTML5 device. CMA’s proprietary technology gives your business unmatched flexibility -- and your customers an interactive, easy way to navigate your space. Visitors can search on screen by keyword or just a few letters to get dynamic wayfinding with interactive vector-based maps, accurate algorithm-based arrival times, and detailed routes to specific destinations. Using your existing facility map, we create custom guides from the ground up so you can brand the map exactly how you want it with colors, custom icons, fonts and more. 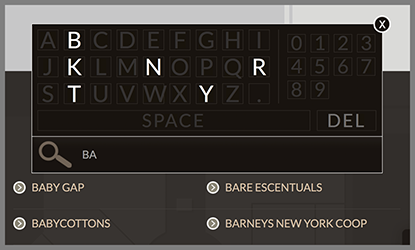 Dynamic keyboard function utilizing reductive search technology to make it easier to find exactly what you're looking for. Our innovative search results display In-Path Media™ related to search content along the way. Inform users of sales, events, shows and more in real-time. Introducing vector-based maps with dynamic zoom and panning. Give your visitors true perspective on travel distance and time with vector-based wayfinding maps that offer dynamic zooming and panning capabilities. CMA’s advanced vector-based maps offer a greater amount of detail without any pixilation, no matter how close your customers zoom in on a location. And, with our completely customizable software, it’s easy to manage everything from area highlights to map colors across multiple levels and buildings. 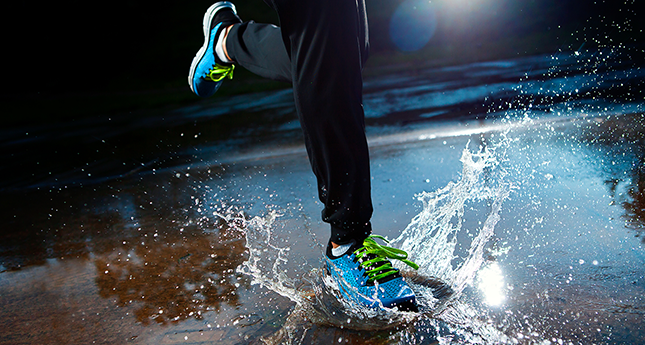 Manage foot traffic based on real-time conditions. You can better control the flow of visitors on your property when you have real-time data to understand current conditions. 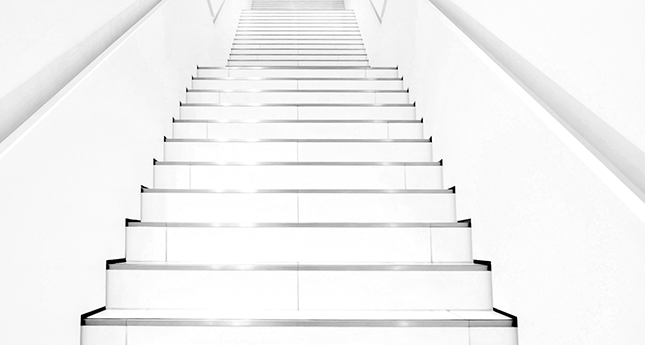 Give step-by-step directions and path drawings that are based on up-to-the-minute conditions, so you can provide the shortest path based on weather, date and time, special events, emergencies, and even facility maintenance like available elevators, escalators and stairs. Are we there yet? Now, you can answer that. Advanced algorithms calculate the distance from a visitor’s current location to their destination and dynamically provide an accurate arrival time. Even in large spaces your visitors can better plan and coordinate their travel for a more enjoyable experience. Visitors can also search for nearby destinations by selecting a type, like “Dining” within a “5 minute” walking radius to find exactly what they want, where they want it. 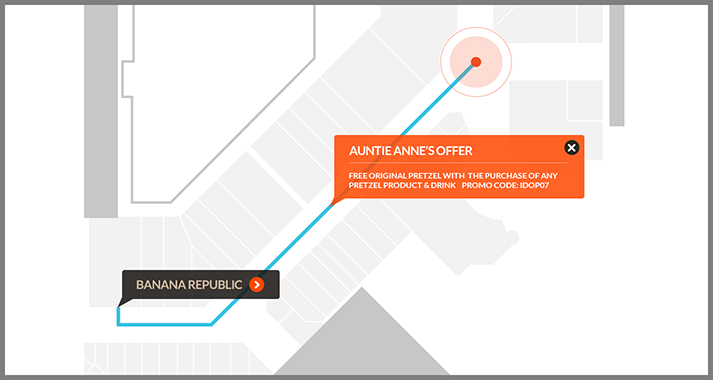 After your visitor selects a location, our advanced wayfinding software maps every location along the way and delivers real-time targeted advertising along the path. 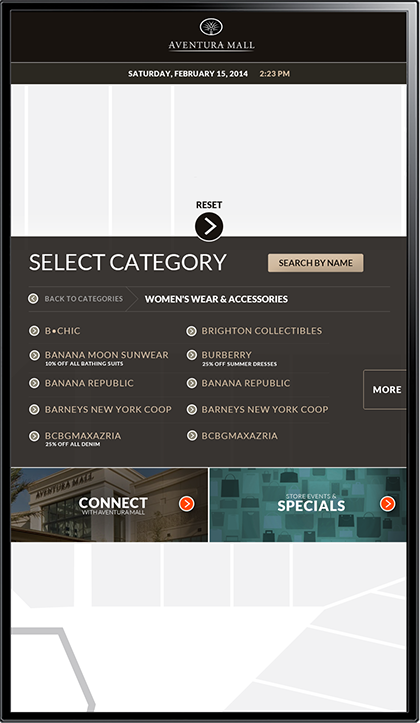 For example, in a shopping mall setting a visitor can search for stores in the “Eyewear” category and select store “B” from a list of choices. 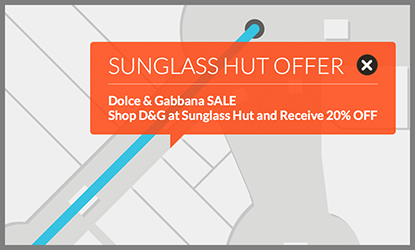 Our software recognizes that store “A” is having a sale on eyewear and it’s an active advertiser, so a MediaPin™ will appear along the path showing the exact location of store “A” and display an offer related to the visitor’s search. 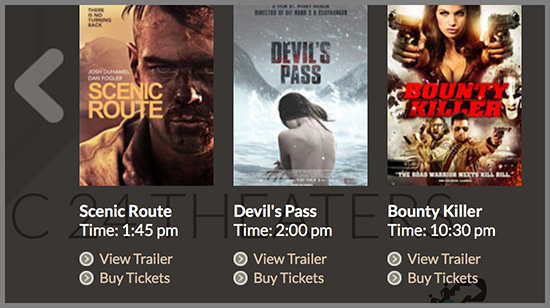 Time-based movie listing technology and pre-pay ticket purchase modules. Give visitors more than just a name. MediaPins™ mark a destination and allow businesses to display unique content to differentiate their establishment and interact with customers before they step in the door. 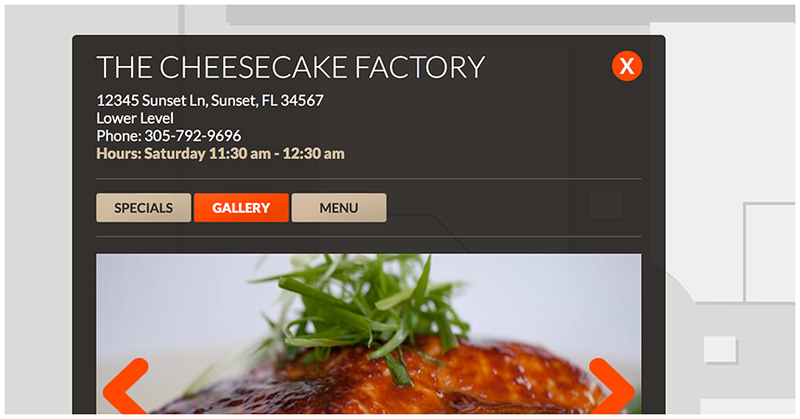 For example, restaurants can show menu items based on day and time, display food images, or allow visitors to make reservations. Movie theaters can display movie times, show movie trailers and even allow instant purchase of movie tickets from a visitor’s mobile device. Shopping malls can display every sale within the mall in real time with directions, or convention centers can display meeting rooms, information related to events, and easily provide a path. MediaPins™ can be customized to display any third party data and even offer two-way communication between an interactive wayfinding display and a visitor’s mobile device. Connect your wayfinding display to mobile devices. CMA’s Digital Wayfinding software works with any HTML5 device, such as iPhone, iPad and Android, so visitors can effortlessly take directions with them. Exceptional performance on any smartphone or tablet makes it easy to integrate data into your customers’ mobile experience to keep them engaged the entire time they’re on your property. Lead customers every step of the way with complete integration of your wayfinding solution. CMA’s unique wayfinding software delivers two-way communication with mobile devices via SMS, NFC, Bluetooth and more, plus integration with social media platforms, POS and reservation systems. Custom integrations are also available for third party systems, and the wayfinding system is designed to be future facing to integrate with the latest emerging technologies.